We carry bulk containers, including bulk food containers, dry bulk containers, liquid bulk containers, foldable bulk contianers, & collapsable bulk containers. 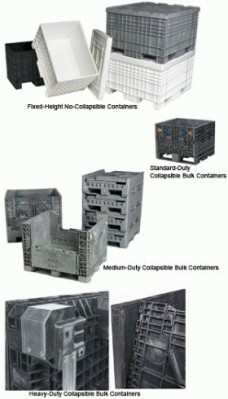 You will also find a large selection of bulk wire containers with different sizes and most are foldable and collapsable. 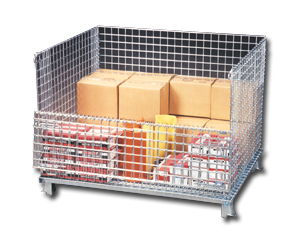 Find the largest selection of collapsible and foldable wire containers for bulk storage at an economical price for less than plastic. 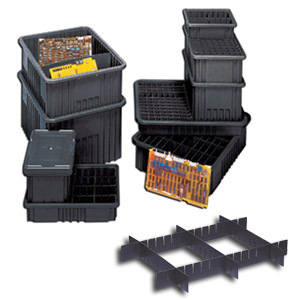 If you are looking for industrial stackable plastic containers, look no further. 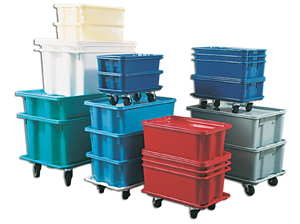 Our stackable containers are heavy duty with 3,000 lbs stacking capacity. Needing conductive containers? We have conductive containers in the size you need. These are certified ESD and feel free to call us for specifications. 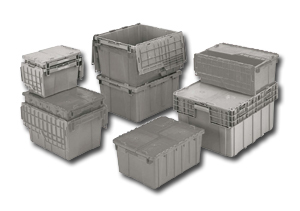 Our fiberglass containers are specially designed for coldrooms and refrigerated trucks. 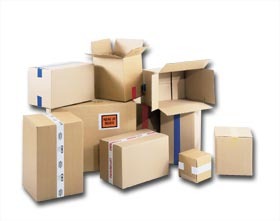 Fiberglass containers handle the widest range of temeratures and are guaranteed not to crack when used in -40 to 250 degrees F. Our low cost cardboard containers are perfect for shipping or temporary storage. Some use them where theft of expensive plastic containers is a problem. 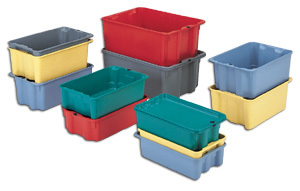 Find attached lid containers from Quantum, Akro-mils and LewisBins.